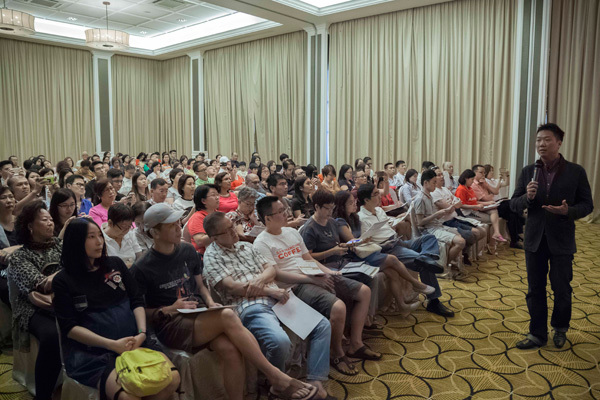 Dato’ Joey spoke to over a hundred participants for an hour starting from 11.30am. 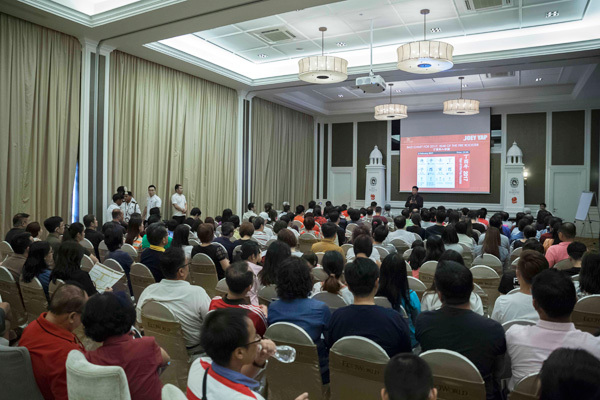 Participants were informed about key projections for their Zodiac Animal Signs in the Fire Rooster Year. 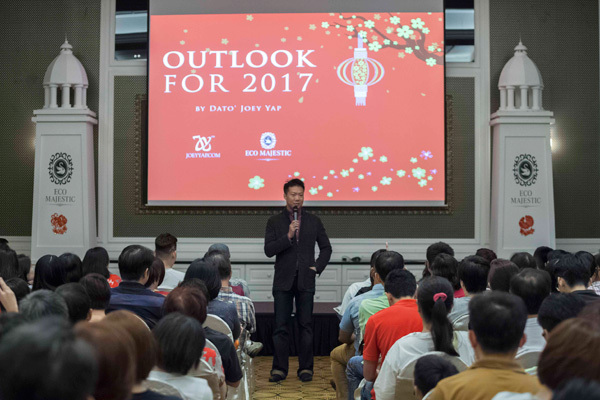 Dato’ Joey advised them to use these predictions as a guide to make the year ahead relatively smooth. 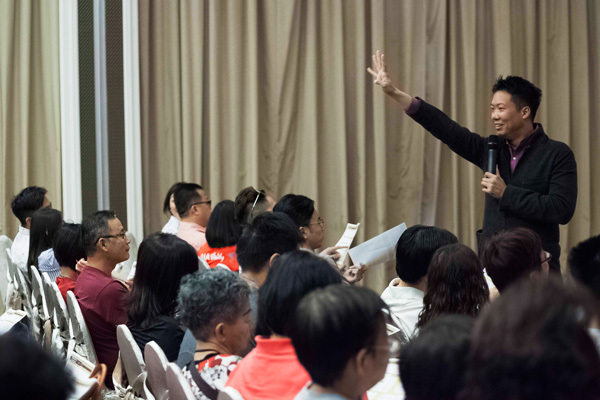 He also revealed key Elements that would generate the best outcomes in the Lunar New Year. 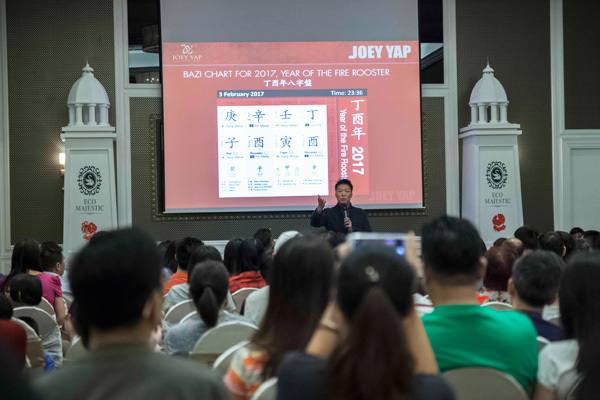 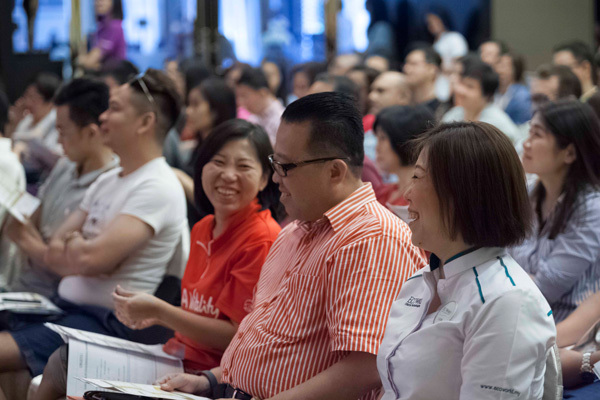 Dato’ Joey reminded participants to use their personal BaZi charts to see clearly the obstacles and make the most out of opportunities in a turbulent Fire Rooster Year ahead.